Boho Chique Jade Beaded necklace. 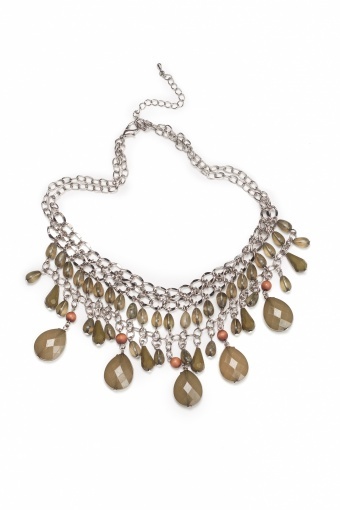 So beautiful, this short necklace. 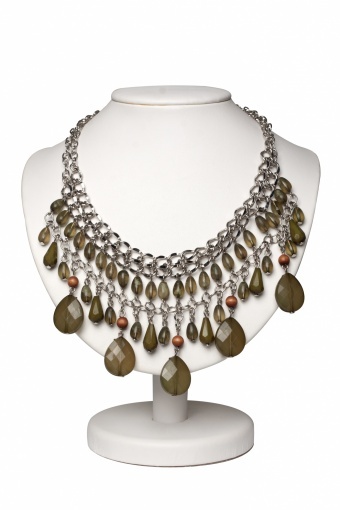 The double chained necklace is decorated with gorgeous beads in stylish jade green, partly faceted, and little wooden beads for the finishing bohemian touch. This necklace sits perfectly on your neck. Oooooh! Ze zijn wéér geweldig! Zowel het rokje als de jurk (goed advies dat maatje groter) zitten als gegoten! One happy lady over here!